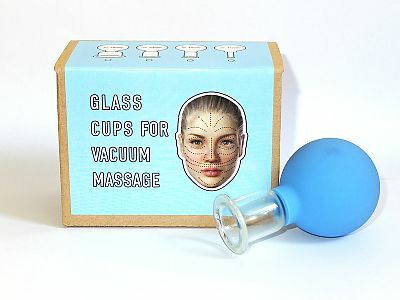 the massaged area must be greased well (never use rubber glass on dry skin); use three massage movements - straight-line, circular and zigzag (repeat each 5-6 times); control the vacuum - massage doesn't have to be painful. Massage each area at least for 5 minutes. Use massage crème, oil or gel. Essential and aromatic oils can be added as well. • Lubricate the massaged surface with massage cream or cosmetic massage oil. • Place the cun regulating the vacuum force by container compression, thus it is necessary to consider the patient skin sensitivity, his age and physical condition, avoiding painful sensations. • Make a smooth sliding movement by a stucked cup in the direction of each massage line (as shown in the picture), 3-5 times. 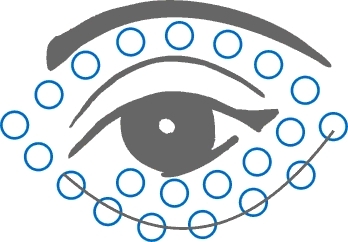 • To massage area around the eyes and lids is used autohemotherapy technique which consists in cups imposing on the skin for 2-5 seconds without moving. 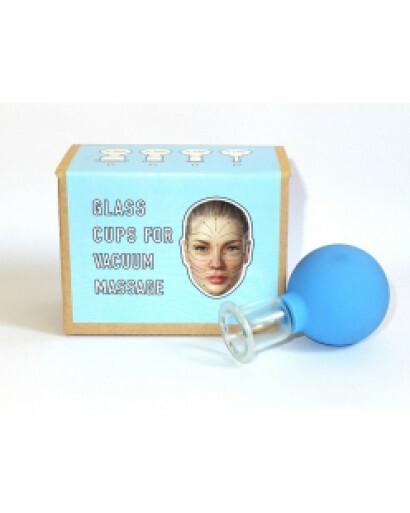 • Cup massage for the face can be carried out in a course mode, from 10 to 15 treatments, 3-4 times a week. After course completing you should carry out supporting procedures, their number is determined individually depending on the problem, it may be optimal once a week. • In case of too frequent use of vacuum massage the face became thinner, do not abuse. • Passing with a cup on a massage lines, hold the skin with the opposite side of hand, for to not stretch. Attention! Do not use the cups on the neck front part, on the thyroid gland area, spine, heart area, kidney, and mammary glands of women. Do not massage the popliteal fossa area and inner thighs! All procedures should be agreed with physician. 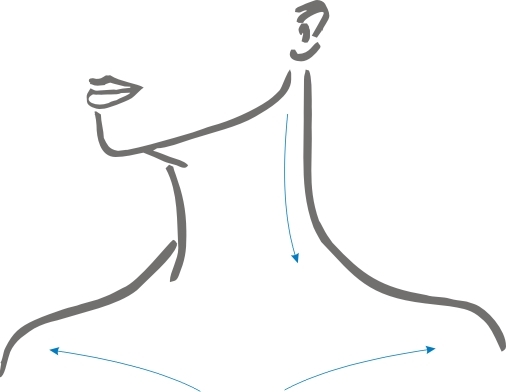 Massage lines of decollete and side of the neck. Use a cup with a diameter of 33 mm. 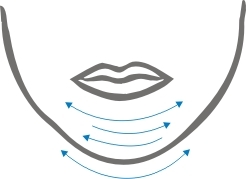 Massage lines to reduce fat deposits under a chin. Massage is carried out in two steps. Use cups of diameter 22 or 33 mm. 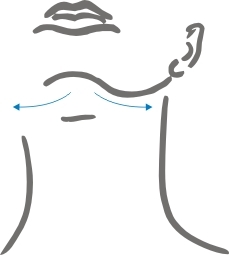 Massage lines on a chin. Use cups with diameter of 22 or 33 mm. 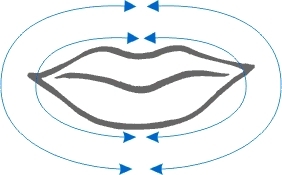 Massage lines around the mouth. Open your mouth and wrap lips a little bit over your teeth. Work out these massage lines around the lips and edge of the lips. Hold the skin with the hand opposite side for to not stretch it. Use the cups in diameter of 22 mm. 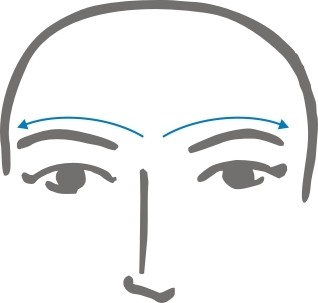 Massage lines for oval (cup- 33 mm) and central part of the face, second and third specified massage line (cup- 33 or 50 mm). Hold the skin with the opposite side of hand, for to not stretch. Massage lines of forehead, nose and eyebrows. Hold the skin with the hand opposite side for to not stretch it. Use the cups in diameter of 22 or 33 mm. Massage lines for nose area. Use cups with 11mm diameter. Massage lines in the "crow's feet" area. Fix the skin by hand on both sides of massage zone. Use the cup in diameter of 22 mm. 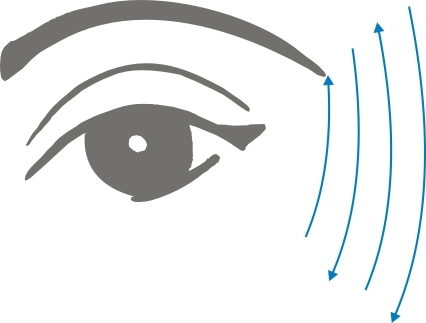 Massage lines for area around eyes and lids. Here is used technique, which consists in cups imposing on the skin for 2 seconds without moving. Use cup with diameter of 11mm.